L’Oréal Paris Magic BB Cream - 4 Beautifying Actions in 1: Hydrates, Primes, Perfects, Corrects. 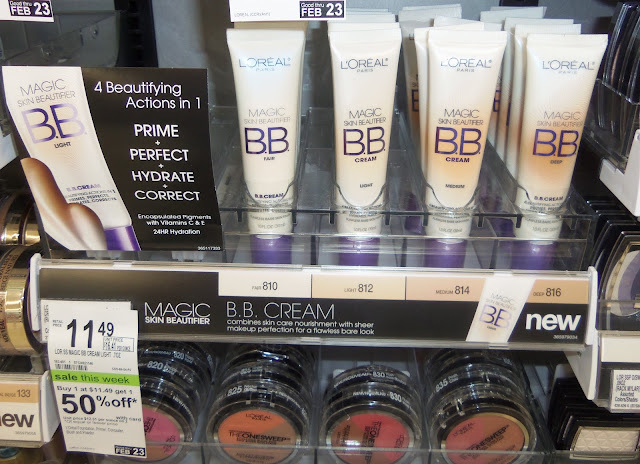 I had the opportunity to try Magic BB Cream made by L’Oréal Paris. I received a full sized sample of the BB Cream in Medium 814. This was my first experience using a BB Cream and I was pleasantly surprised. By nature, I am a skeptic when it comes to product claims. It's one of the reasons that makes product reviews fun for me. I love when my skepticism is silenced. This product works. I like the effect. The product dispenses as an ultra light lotion which is white in color and has barely visible "beatifying beads". After application the product adjusts to your coloration. I like that the end result it is a light finish because for day to day use I prefer not to look (or feel) overly made up. The bare skin finish is perfect. If I could change anything about the product I would only request MORE hydrating properties. Since I am 41 years old young, my skin now requires a touch more moisturization than what this product offered to me. I will likely purchase this product in the future. I did scope out 2 of my local retailers just to make sure that I can get more should the need arise. I didn't stock up because I am on a self imposed spending hiatus until after Easter. Do you use BB cream? I'd love to know what's in your makeup bag! Disclosure: This post is sponsored by L'Oréal Paris. I received a complimentary full sized sample to facilitate my review. All opinions are my own. If you would like to learn MORE about L'Oréal Paris Magic BB Cream Join the Twitter Party! Twitter Party Prizes: Lucky winners participating in the Twitter Party will be randomly selected to win prizes including L'Oréal Paris beauty baskets that include Magic Skin Beautifier BB Cream and more! Over $700 in prizes will be given away. One lucky winner will take home the grand prize, a $250 Target gift card! Hi Sara! Since becoming a mom I often go sans makeup so I can relate to what you are saying! This is a quick & easy option for sure! Note to self about this product. I'll definitely check out the Twitter party. Thanks for the review! Cody Thanks for stopping by! I will see you at the Twitter Party! Karen Thanks for visiting! I know what you mean! My makeup/skincare regimen has changed with age as well. I'll be celebrating birthday #42 in May! I'm a BB cream addict. 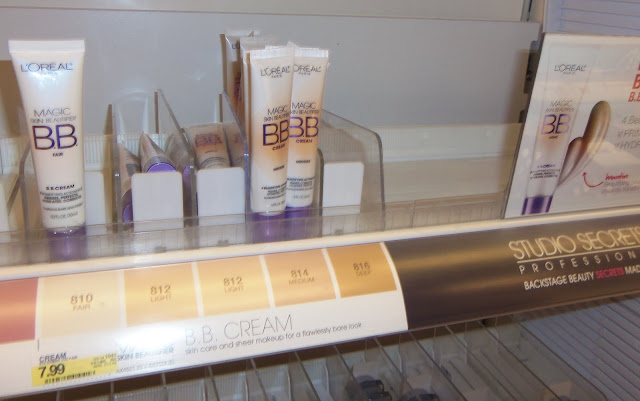 I'm actually doing a BB cream project in my blog right now, where I try to test as many BB cream brands as I can. I have an inkling towards Korean BB cream brands, though. To me they're superior to Western brands in terms of quality and how they suit Asian skin better (I am Filipino, after all). I've tried Avon's and Garnier's BB Cream and they were really blah. I've been using BB cream but haven't tried the one by Loreal yet. Been using their White pefect range though. I've never used a BB cream, but it certainly sounds like it's a nice and easy option. I have never been a huge fan of makeup myself. If I do wear make up, I like to keep it simple and don't want products that cake up and make my acne issues look worse. that it has bеen on leаԁing frοm other brаnds of stгetch mark creams.